Dr. Darren Wirtz is an Osteopathic physician at Adult Medicine Specialists of Las Vegas. The practice serves the residents of Las Vegas, Nevada, and specializes in offering its patient's weight loss programs to help them regain their health. "The best Doctor and Staff in Las Vegas. I've been a patient of Dr. Wirtz since day one." "Dr Wirtz is so nice. he is about the best Dr I ever had." "Never had a problem with him in all the years of going to him." What is Included in a Weight Management Program? An effective weight management plan includes several different components. It must include a healthy diet full of nutritious, healthy foods. It must also have an exercise program that calls for regular periods of exercise that allow the heart to receive a healthy workout. Along with diet and exercise, the patient should also have a strong support system in place to help them through the difficult periods when it seems the weight is not going to go anywhere. Above all, the patient must have a goal in place that gives them something to look forward to reaching. It should include smaller milestones that offer something to keep them motivated and working towards the final goal. Adult Medicine also offers vitamin supplements, injection packages, and occasionally medications to aid in achieving weight loss goals. What are the Benefits of Working With a Doctor When Trying to Lose Weight? Working with a doctor when trying to lose weight has several benefits. Not only can the doctor help a person avoid common obstacles, he can also help a patient avoid injuries that can result from pushing themselves too hard. A physical evaluation prior to starting the weight loss program can uncover any health problems a patient should be aware of before they start. Working hand in hand with a doctor also provides a built-in support system that will allow the patient to discuss any potential problems they may be having but will also help to keep them on track. The doctor will also be able to provide encouragement when it comes to the actual weight loss numbers. Is it Safe for Someone With a Heart Condition to Exercise? Individuals who have a heart condition will benefit from exercise if it is within the limits of their capabilities. The severity of the heart condition will determine what level of exercise they will be able to handle safely. Doing too much can cause major issues, but exercise in the right amount can actually strengthen and tone the heart muscle. Walking, swimming, and stretching are all forms of exercise that improve circulation and can strengthen the heart without causing undue stress or forcing the heart to work harder than it should. If a person with a heart condition wants to exercise, they should do so under the direct supervision of a physician. 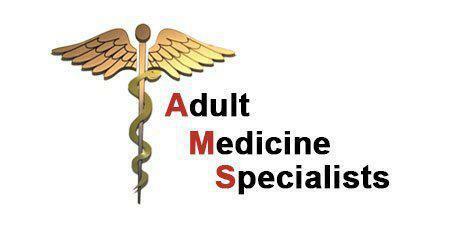 Adult Medicine Specialists of Las Vegas accepts these insurances. If you are unsure or have any insurance and billing questions, please contact the office directly. "I've been a patient of Dr Wirtz for 6 years and I wouldn't change him for anything . The office is very nice and his staff is great!" "Dr. Wirtz has been great to my father. He's patient and goes above and beyond to ensure my father understands everything. I would recommend him."